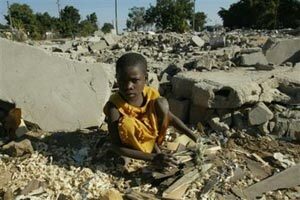 Zimbabwe’s social services have not succeeded in completely guaranteeing the rights of children, such as, for example, access to healthcare, to education, to food and water: rights that are violated daily. Zimbabwe is one of the poorest countries in the world. Nearly one out of every two inhabitants lives below the poverty line. There have been occasional advances in the national economy, but the limited scope of these upswings has not been able to reduce poverty in any significant manner. Children are the primary victims of this situation. Their rights to healthcare, nourishment and education remain by and large unprotected. Consequently, they are often forced into menial labour in order to aid their families financially. 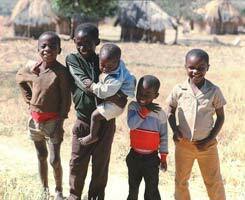 The life expectancy of newborn Zimbabwean children is the second lowest in the world. The infant mortality rate, though not fully documented, is exceptionally high. 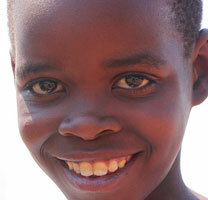 Epidemics are extremely virulent and frequently fatal among Zimbabwean children. Measles, for example, kills a disproportionate number of children each year. Poor hygiene and lack of proper care contribute to the repeated and rapid diffusion of epidemics. Further, many families refuse to vaccinate their children, owing to superstitious beliefs. The prevalence of AIDS throughout the country constitutes another serious problem. 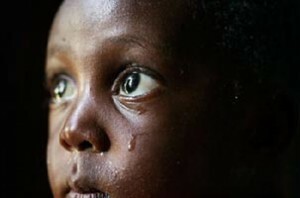 Many children are affected by this virus, either through physical affliction or because they have been orphaned by it. Responsibility and care for infected persons, including infants, is so rudimentary in Zimbabwe that numerous families migrate to neighboring countries in order to benefit from better follow-up and monitoring of their disease. Zimbabwe’s supply of water insofar as that water can be said to be safe and drinkable is insufficient to meet the needs of the population. Many families, particularly those in rural regions, are forced to use polluted non-potable water. In certain remote areas of the country, they are obliged to travel great distances in order to gain access to water that is fit to drink. These deficiencies impact the health of children in various ways causing chronic diarrhea, dehydration, infectious diseases and more. Basic hygiene is difficult to maintain because Zimbabweans are obliged to greatly limit their consumption of water. The problem of malnutrition is not easy to resolve. Owing to an insufficient food supply, Zimbabwe is unable to adequately feed its entire population. Zimbabwe’s economic situation, aggravated by onslaughts of drought, contributes to a regular depletion of its food supply. Children suffer on a daily basis from famine and its consequences. Their very survival is threatened, they being constantly in danger of dying from hunger. 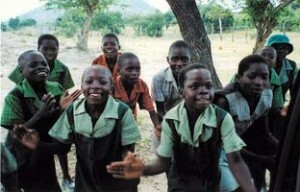 Nearly 15% of Zimbabwean children do not attend school. Tuition costs are too high for most families. Consequently, even if they are able to register successfully, most children are quickly forced to abandon their studies. The state and standard of educational facilities are often deplorable. Most instructors are unqualified and the teaching materials are woefully inadequate. The educational system thus cannot guarantee children’s right to an education, as envisioned by the International Convention on Children’s Rights. Moreover, recurring economic and political crises regularly prevent improvements from being made in the domain of education. In Zimbabwe, more than 13% of children are obliged to work. Many of them are forced to take jobs in the farming sector, where living and working conditions are extremely harsh. Others find employment in the even harsher diamond mines. Today, this practice is largely criticized by the international community, which describes these diamonds as “blood diamonds”. Zimbabwe, for its part, has attempted to put an end to this kind of labor. On account of extreme poverty, some children become entrapped in the slave trade. Recruited by traffickers, they end up being subjected to various forms of exploitation be it sexual, agricultural or domestic. Zimbabwe is, in effect, recognized as being a principal source and destination of human trafficking. Recent efforts to eradicate this practice have begun to bear fruit, though this sad situation remains a painful reality to this day. The situation of imprisoned minors in Zimbabwe is deplorable. It is a violation of numerous rights guaranteed by the CRC. Children are detained in the same cells as adults. In addition to being harassed and abused by their fellow inmates, they are also subjected to violence from guards and other prison staff. In prison, it is easy to obtain confessions or denunciations. Guards are in a position to threaten inmates and subject them to just about any form of cruelty and violence imaginable. Living conditions are harsh and incarcerated youth often have no visitation rights. Moreover, minors are often detained for absurd reasons: it often happens that the condemnation of their parents or simple suspicion, altogether lacking in tangible proof, is the cause of their incarceration. Even more serious is the fact that innocent but extremely young Zimbabwean children are sometimes imprisoned along with their mothers. Infants no older than two years can thus be found locked up in some of Zimbabwe’s most secure prisons. Their living conditions are inhumane: overcrowding, filth, malnutrition, absence of hygiene, disease… At times imprisoned infants are even incredibly tortured to obtain confessions from their mothers. In Zimbabwe, more than a quarter of young girls are forced to marry before they reach the age of 18. Parents prepare them from a very early age for life as a child bride. However, these marriages often have deleterious consequences for the health of these young girls who do not understand what marriage entails. In Zimbabwe, more than a quarter of all births are not officially reported. Thus, these unregistered children possess neither an official identity nor a nationality. Such individuals do not officially exist. In the eyes of society, they are invisible and will never be able to enjoy their rights.